Champion Victorian trainer Darren Weir will have to show cause why he should be allowed to race horses in NSW after electronic devices were found in his stables. Racing Victoria integrity stewards and officers from the Victorian police sports integrity department swooped on stables at Ballarat and Warrnambool on Wednesday, finding four electronic devices, commonly known as jiggers. On Thursday, Racing NSW issued the show cause notice, saying the seriousness of the reports prompted the action. 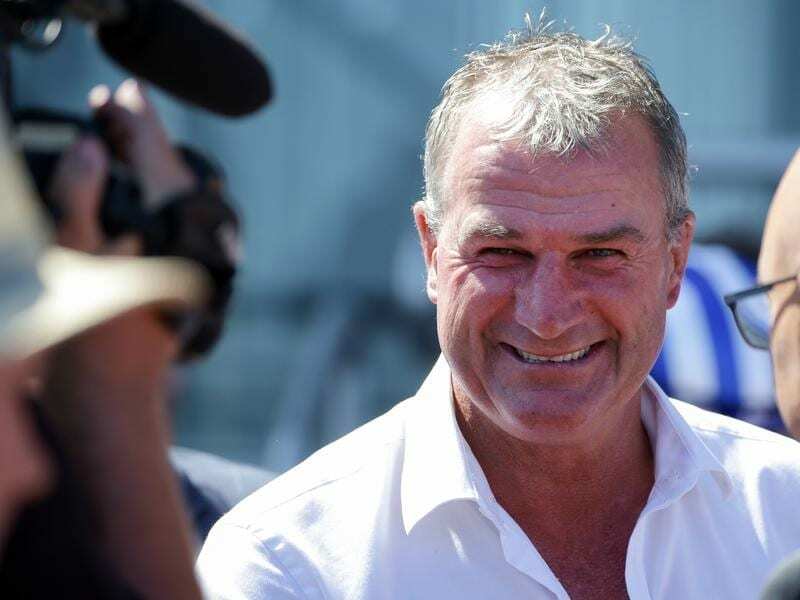 “Racing NSW has on Thursday, 31 January 2019, issued a Show Cause Notice to Victorian licensed trainer Mr Darren Weir as to why the provisions of AR50 should not be invoked against Mr Weir in respect of declining to receive or rejecting the nominations of horses trained by him for races in New South Wales,” the governing body said in a statement. “The Show Cause Notice was issued in light of the seriousness of the reported allegations concerning Mr Weir and the responsibility of Racing NSW to protect the image, interests and integrity of racing, further noting that Mr Weir has nominated a number of horses for the Golden Slipper and nominations for The Championships are approaching. “In this respect, the use and possession of electronic apparatus such as tasers/jiggers is an offence under AR175(hh)(i) and (ii) with a mandatory minimum penalty of 2 years disqualification for any use or attempt to use. Racing NSW stewards have recently taken similar action against Queensland trainers Liam Birchley and Ben Currie. Birchley is appealing a ban in the Aquanita case in Victoria while Currie is the subject of a Racing Queensland inquiry into positive swabs. “Racing NSW is on record time and again as saying integrity and welfare in this industry is paramount. Accordingly, no individual’s interest should outweigh the confidence of the public in the integrity and welfare of the industry,” chief executive Peter V’landys said. “It is critical that the image, interests and integrity of thoroughbred racing in New South Wales are not compromised while Mr Weir’s conduct is further investigated.